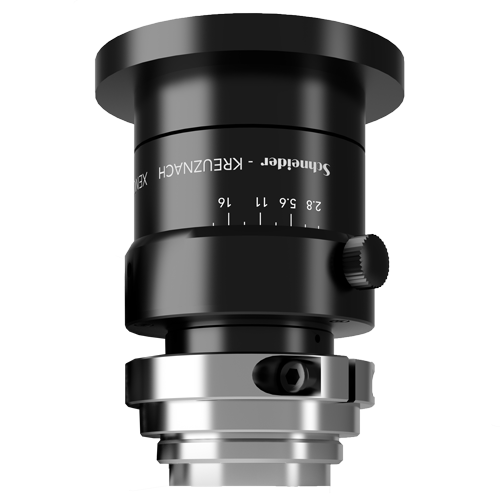 The Xenon-Opal 2.8/12 is a robust C-mount lens for 1.1" sensor down to 3 μm pixel size. With a max. chief ray angle of 6°, this lens can be used with 12-megapixel cameras using sensors with microlenses. The Xenon-Opal lens fits all kinds of industrial applications up to ∞ (with the best performance at a working distance from 0.3 to 1.5 m). Therefore this lens is the first choice for demanding factory automation systems, such as 3D measurement. The robust mechanics provide a highly stable image in harsh environments, even mounted on an arm of a robot system. Equipped with 400 - 1000 nm broadband AR-coating makes this lens even more flexible regarding used illumination.